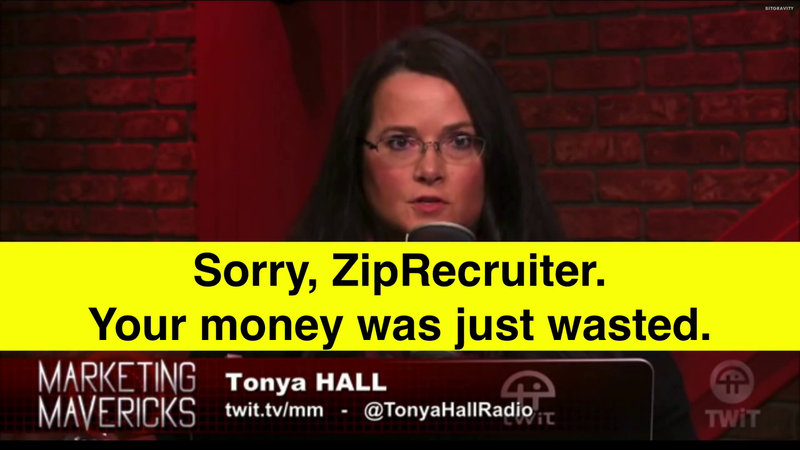 Tonya Hall, host of the TWiT network’s “Marketing Mavericks” show, endorses a rival job site seconds after doing a live ad read for ZipRecruiter. When you have a stupid whore like lisa running things, this happens. ZipRecruiter aggredates all of your social media, including LinkedIn, to find jobs – it isnt a competitor at all. LinkedIn doesnt aggregate your social media – you on drugs, boy?